GAME 5. time to close this out and invite boston to come play. So I just checked in to a hotel in Austin TX. I chose this hotel because every other time that I've stayed at this chain, they've had NBC Sports. Guess what? Ugggghhhh! Looks like I'm going to have to find a bar nearby that's showing the game. ExPatriatePen wrote: So I just checked in to a hotel in Austin TX. I chose this hotel because every other time that I've stayed at this chain, they've had NBC Sports. Guess what? Ugggghhhh! Looks like I'm going to have to find a bar nearby that's showing the game. Don't think you'll have the atmosphere being a Pens fan there like Long Island. Maybe wear some WVU garb so you can feel more like youre in enemy territory like the first round. Last edited by DudeMan2766 on Fri May 24, 2013 6:09 pm, edited 1 time in total. Just curious...any word on Morrow? I know he's a game time decision..If he plays, do they sit Jussi? Who would sit if Morrow is in? Martin Brodeur: "Fleury is going to get his chance, he's too good of a goalie just to sit there. 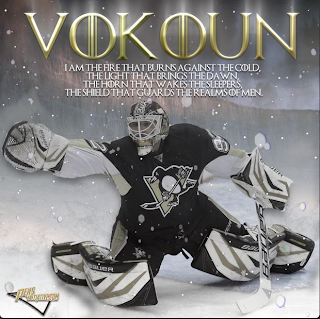 But for now, it's Vokoun's to lose." tfrizz wrote: Martin Brodeur: "Fleury is going to get his chance, he's too good of a goalie just to sit there. But for now, it's Vokoun's to lose." 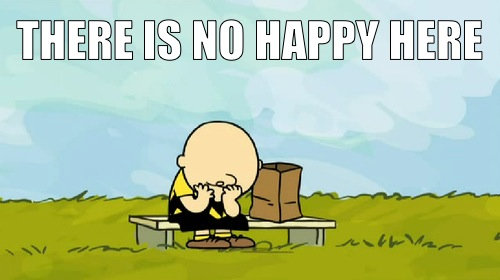 "WHAT MAKES BRODEUR THINK FLEURY WILL GET HIS CHANCE!? FIRE FLEURY!!!" There, now he's part of the board. Since he was added to the CBC panel, I've been hoping he'd weight in on the Pens' goaltending. Nice to see him give a good, realistic answer - not "sink or swim with Vokoun" but "ride him while he's hot". Other than Neil it's hard to hate the Senators' players. I think I'd like Neil if he played for the Pens. skullman80 wrote: Let's do this. Looks like a big crowd outside the arena. Do any other teams broadcast their playoff games outside their arenas like the Pens? Geezer wrote: Looks like a big crowd outside the arena. Do any other teams broadcast their playoff games outside their arenas like the Pens? Well in Vancouver they give TV's away after losses.... Well I guess they're not really giving them away, more like they're stolen.